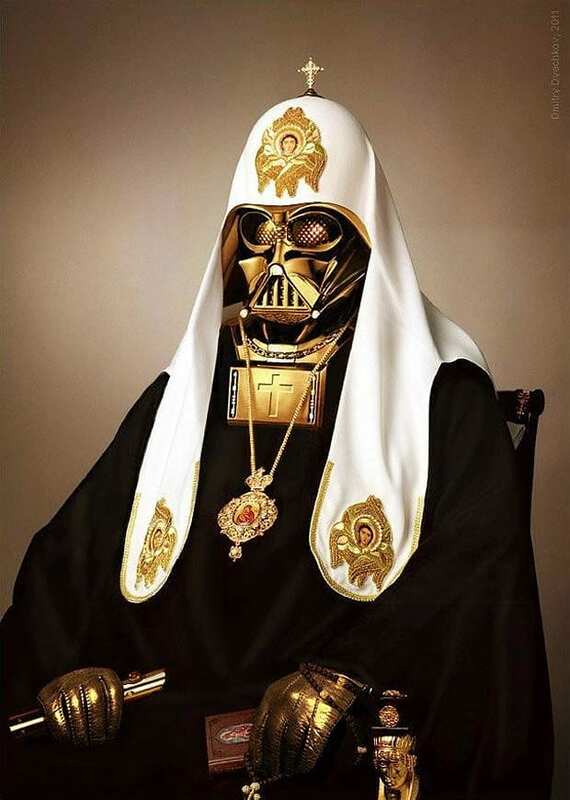 HomeBlogArtPatriarch Vader by Dmitry Dyachko. 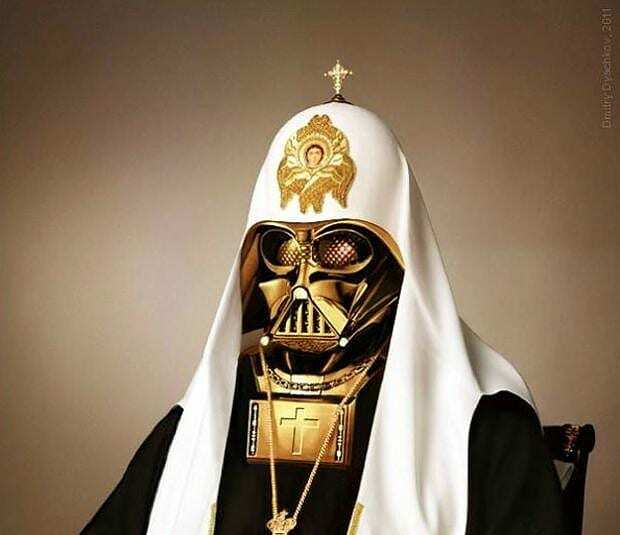 Russian Artist Dmitry Dyachko took the image of Patriarch Kirill I of Moscow and combined it with that of Darth Vader, one of science fiction’s most iconic villains. 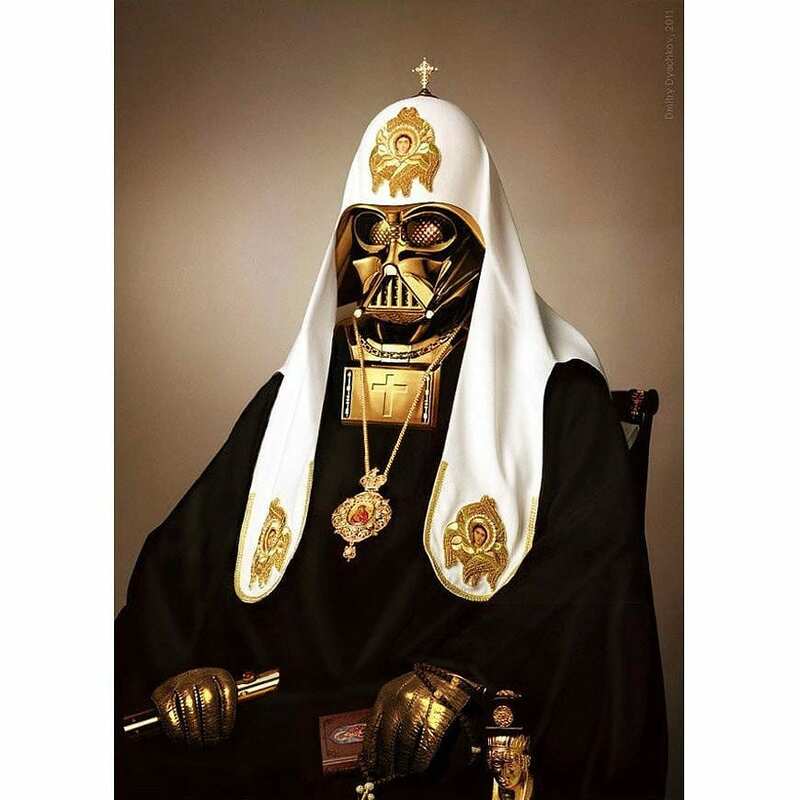 As expected the combination of the Sith Lord with the Orthodox Patriarch produces a surrealistic, yet impressive image. The use of Photoshop is really superb and the two images were blend together in a very realistic way. Dyachko’s work reminds us, to an extent, a similar concept by Ukrainian photographer Danil Polevoy. The symbolism behind this parallelism is quite obvious, so we leave the final thoughts to you. From a purely artistic point of view Dmitry Dyachko has created an amazing and visually striking artwork. Our favorite details are definitely the pastoral rod that has been replaced with a golden lightsaber, and the wide chest cross with the white light-stripes next to it, a clear reference to the chest panel found in Lord Vader’s distinctive black costume.